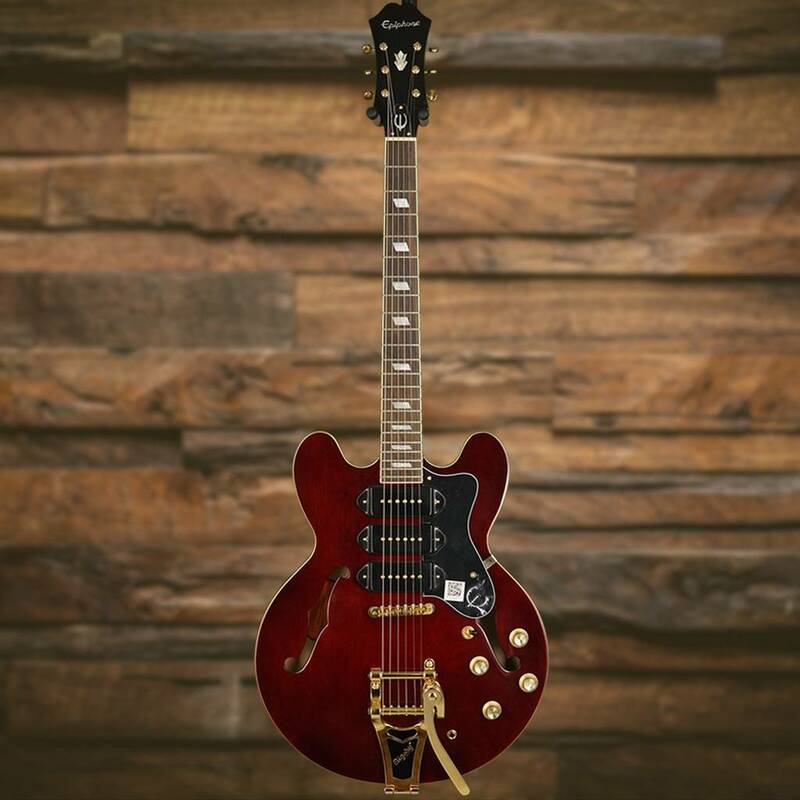 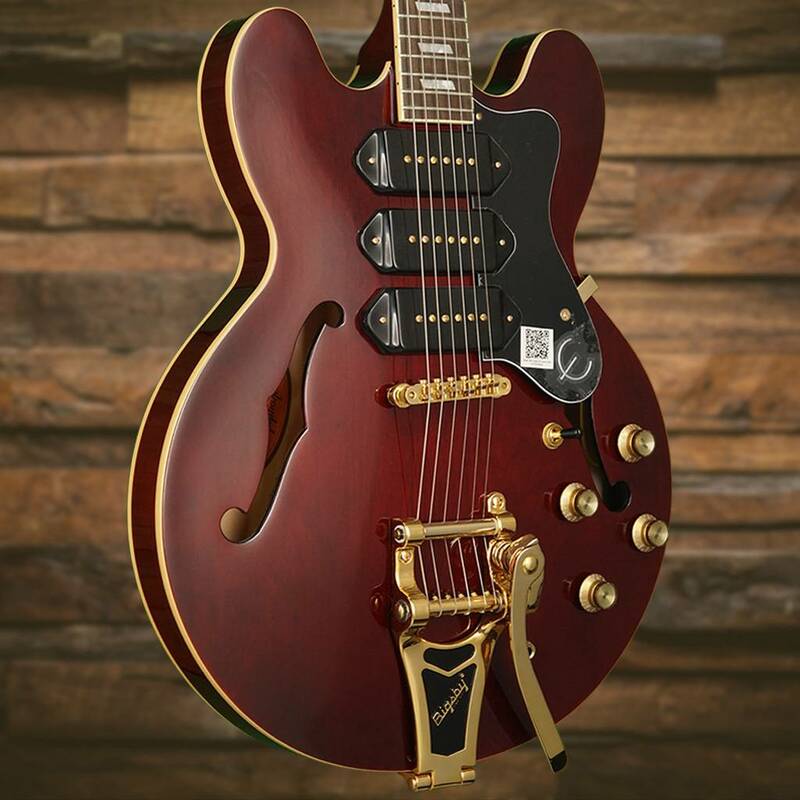 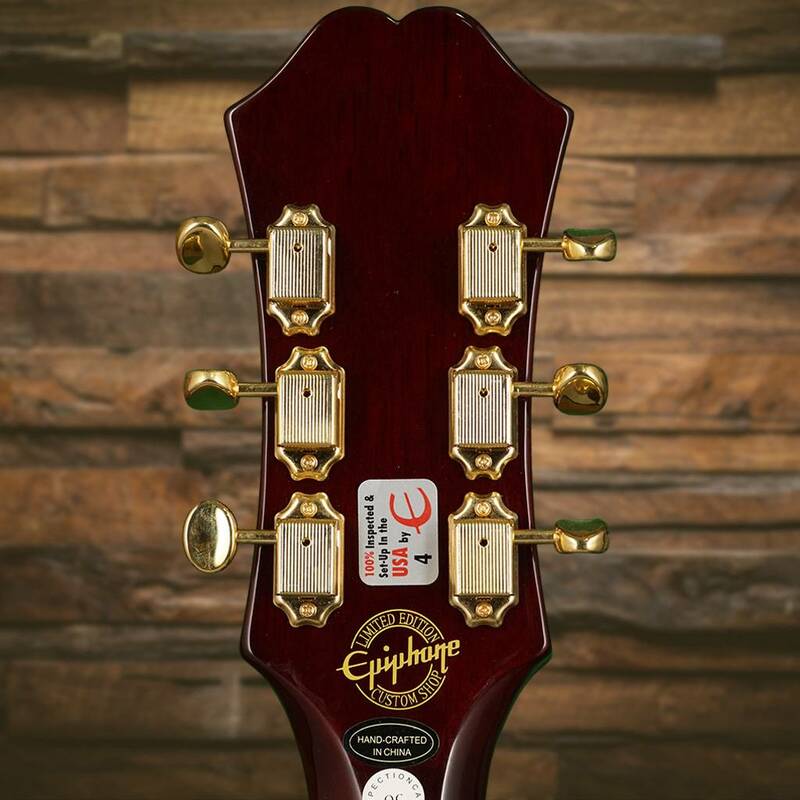 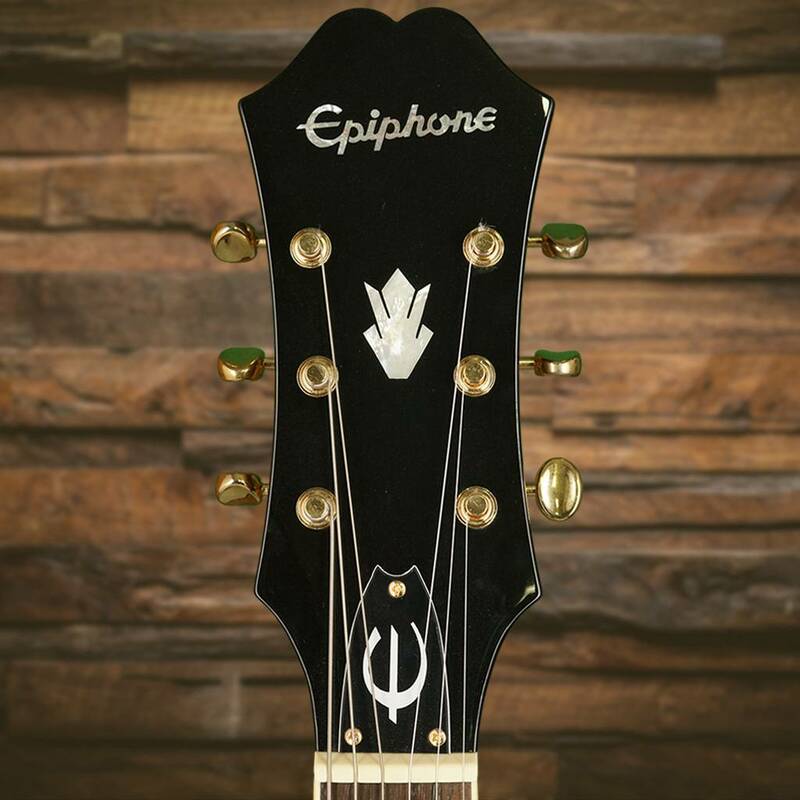 The Epiphone Riviera Custom P93 is modeled after one of Epiphone’s most enduring classics, the Riviera. 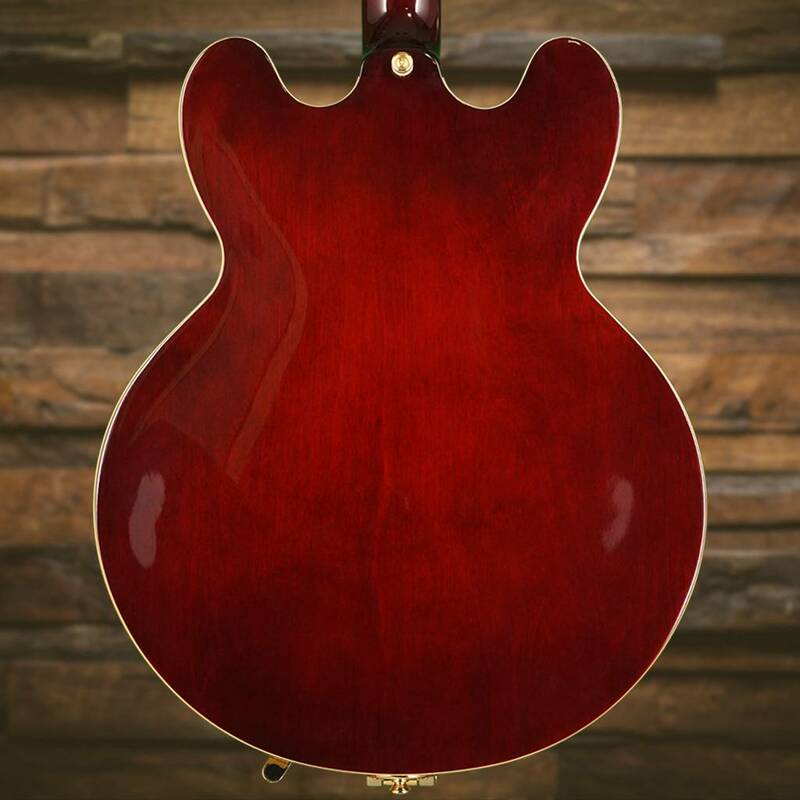 Weight: 8 lbs, 5.9 oz. 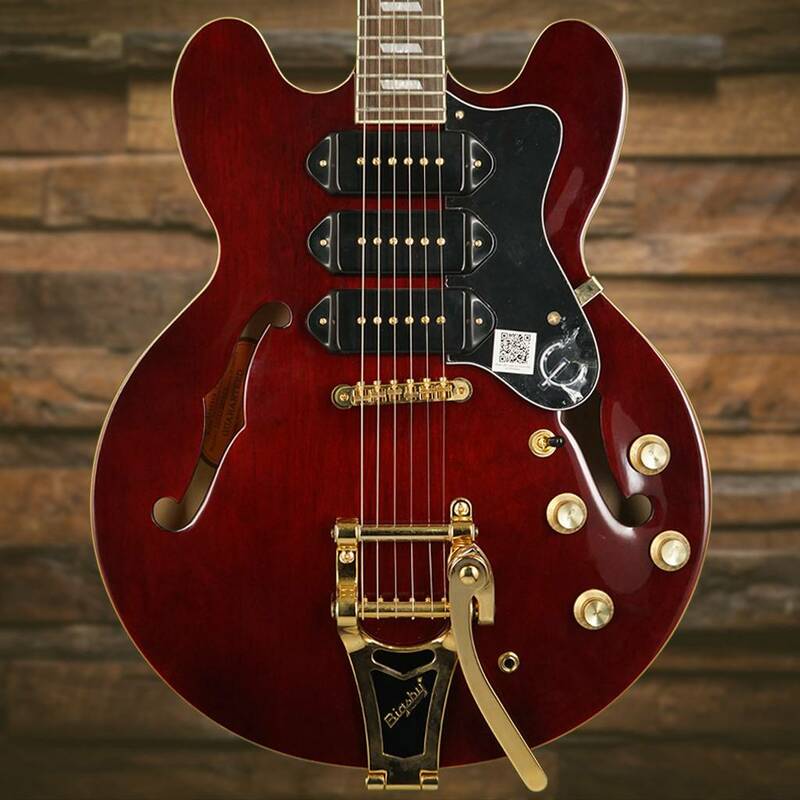 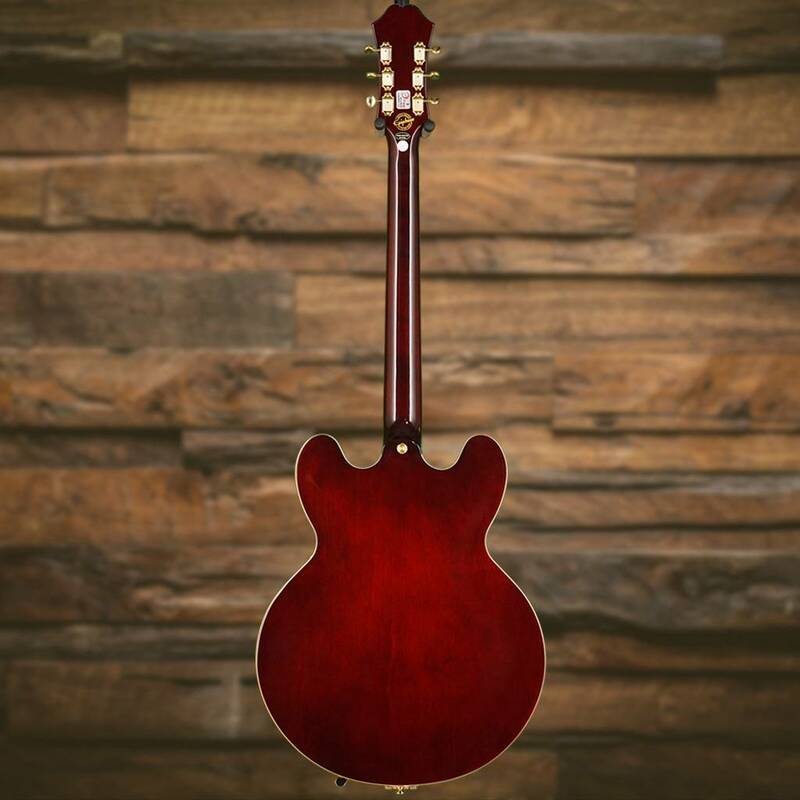 The Riviera Custom P-93 uses 3 Epiphone “Dogear” Alnico™-V P-90 pickups for a punch that leaves all other three-single coil pickup guitars in the dust. 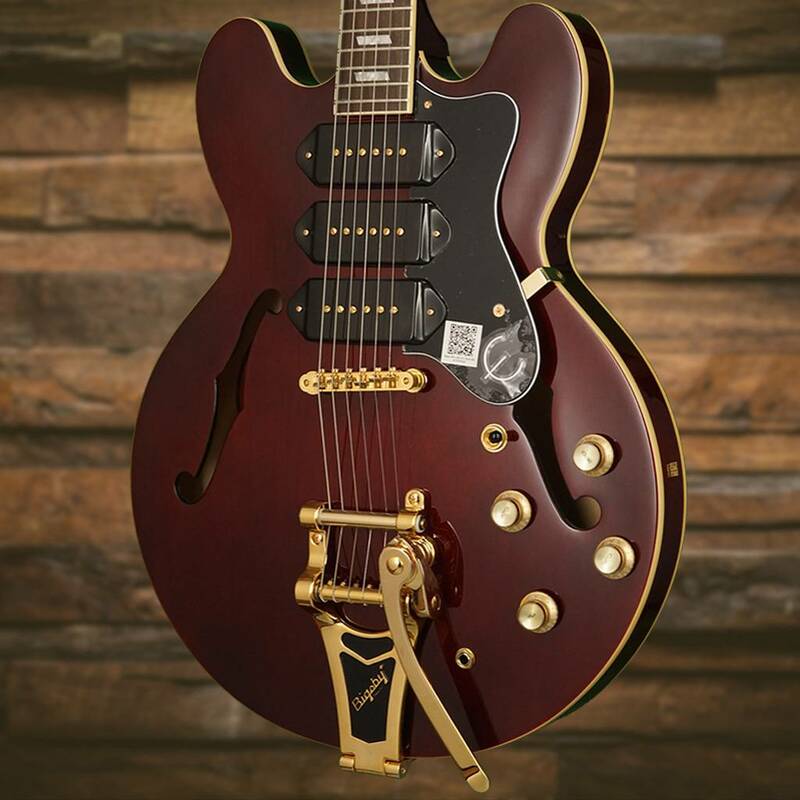 And when matched with the bell-like tones of the ES-style body, a Bigsby® B70 tremelo, plus a stunning Metallic Gold finish with nickel hardware or a Wine Red finish with gold hardware, the Riviera Custom P93 truly becomes of our era’s great instruments.